Dec 6, 2016. 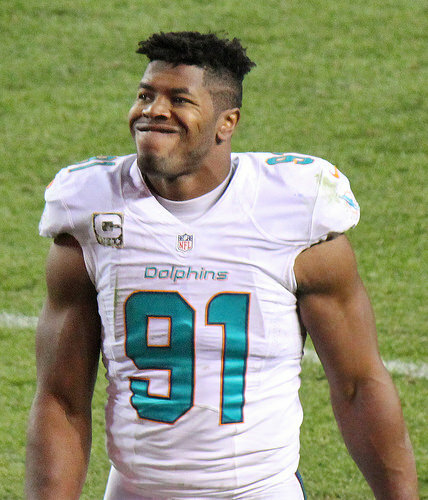 Cameron Wake Could Lead Dolphins to Post-season Success! The Miami Dolphins are making a strong run for the NFL playoffs for the first time since the 2008 campaign, reeling off six wins on the spin to sneak into contention in the AFC Conference. It’s no surprise to see defensive end Cameron Wake at the heart of their surge, despite his advancing years. After failing to be drafted in 2005, Wake was signed by the New York Giants but failed to earn a place on their roster in training camp. He failed to catch on with another NFL outfit and following a year out of the game he made the move to Canada to play in the CFL. He excelled in his two seasons with the BC Lions, earning two All-Star accolades before the Dolphins came a calling in 2009. Since then he has been a model of consistency for the team, notching over 75 sacks in his eight years with the AFC East outfit, and although he has received plenty of plaudits for the level of his play for the Dolphins, the 34-year-old has never played in the post-season. As a result of Miami’s recent form the club now have their first opportunity in nine years to play in January in the hope of reaching the Super Bowl. 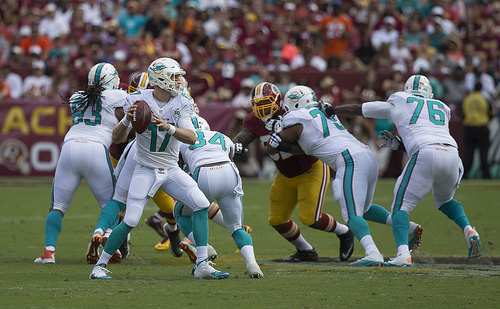 In the latest NFL betting odds, Adam Gase’s men are backed at 25/1 to win the AFC, and although there may be more talented rosters in the Conference, the Dolphins are one of the more well balanced teams. For years Miami has been attempting to wrestle away control of their division away from the New England Patriots, and now under Adam Gase, tt appears they may have their shot - at least of facing them at Gillette Stadium in January. The teams that tend to give the Patriots issues are those with a strong pass-rush, which the Dolphins boast in abundance with Wake leading the way. Many believed that his career could have been over when he suffered an Achilles tear last season, comeback has been remarkable and may even reach its pinnacle should he be the standout star in a push to get to the Super Bowl. Ndamukong Suh, Earl Mitchell, Andre Branch, Jordan Phillips and Mario Williams highlight the talent on their defensive line, and given the way the NFL works in the post-season it provides memories of what the New York Giants built their success around when they won their titles in 2007 and 2011, toppling the Patriots on both occasions. Wake and his colleagues on the defensive line will provide constant pressure on opposing quarterbacks, but their own signal-caller Ryan Tannehill has to continue to make plays. He highlighted his ability in the clutch by guiding his side to victory over the Los Angeles Rams with a fourth-quarter comeback, despite struggling for the majority of the contest. Meanwhile, Miami have enjoyed the exploits of their breakout star in their backfield in the form of London-born Jay Ajayi. The 23-year-old racked up back-to-back 200-yard games against the Pittsburgh Steelers and Buffalo Bills. Should he continue to be able to have that level of success, then Gase’s men are not a team that many would relish facing in the playoffs. Wake will be the key cog in their success and if he can dominate his matchups from now until the end of the term then Miami could well be lifting their first Super Bowl since the days of the legendary Don Shula.